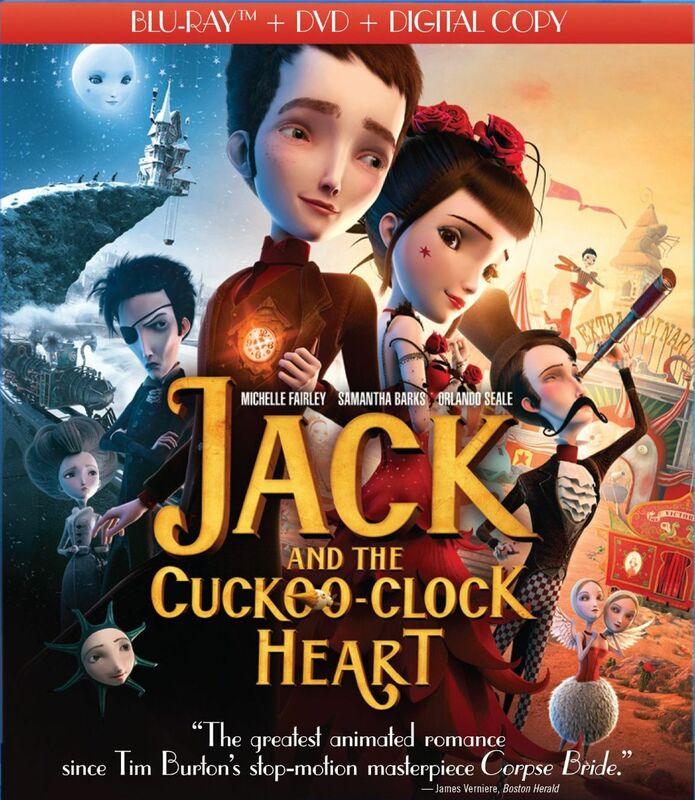 I had never heard of Jack and The Cuckoo Clock Heart so I went in to this movie having no idea what to expect. At its core, this is a story about a boy and girl meet briefly, fall in love, and are separated. What makes this story a bit different is that the boy has a cuckoo clock for a heart. And that's probably the least weird thing about this movie! The story starts with a pregnant woman walking in the snow toward a strange looking house on a hill. The woman at the house delivers the baby, but the little boy's heart is solid ice, even though the kid is still alive. So the woman opens the boy's chest, cuts out his heart, and replaces it with a cuckoo clock. She then tells him three rules that he must always abide by: never touch the hands of the clock, never lose his temper, and above all never fall in love. Alright, we'll that's going to make for a pleasant life. So what happens next? Well, his mom decides to bug out and leave him with the woman. At this point I'm thinking... what the heck? Is this movie supposed to be for children? Because it seems really, REALLY dark. It does lighten up a bit later on, but not completely. There are still some more dark parts that appear. This isn't a light-hearted love story. The animation is quite beautiful, some of it even looks real, like in some scenes where it looks like they made paper models and animated them using stop motion. It is really quite pleasant to witness. Now what I describe is different than being surreal, which I mention because there is a lot of surreal scenes in the movie. My favorite is when Jack meets the girl, Acacia, and everything but them stops. In case you haven't picked up on it yet, this movie is weird, strange, odd, and bizarre. And definitely unique. I won't say that it's a bad movie, but it's not one that I would say was particularly enjoyable. It does have its moments, but it was just to strange for me to get behind. The extra features include short featurettes about the characters, though they're in French with English subtitles and the English voice actors aren't profiled. There's also a short making-of featurette, which is also in French.